to support the urrf (independent refugee-legal aid-fund) we gonna have a party at the wh22 on the 21st of octobre. 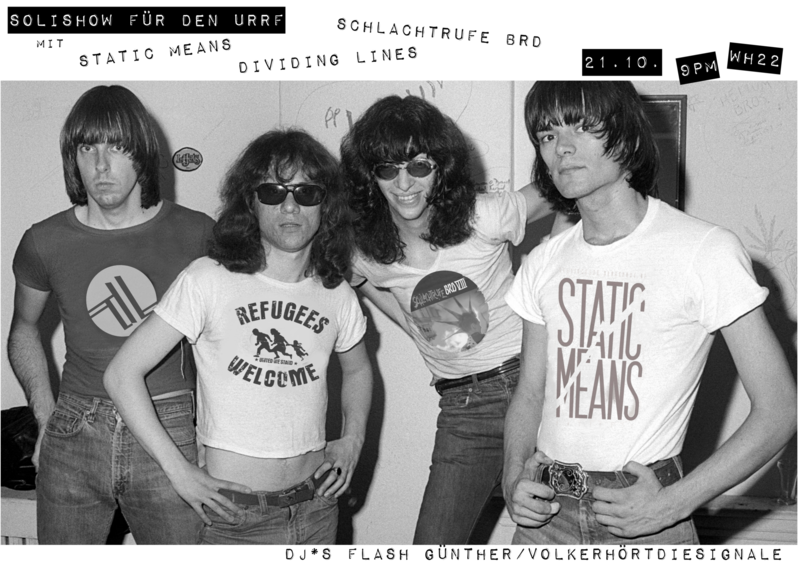 prepare for gloomy postpunksounds by static means and dividing lines and look forward to a hell of a doitschpunkcoverband named schlachtrufe brd! afterwards, süpport us with a cocktail and listen to the fucked up and yet stylish flash günther, while he deejays the night away.